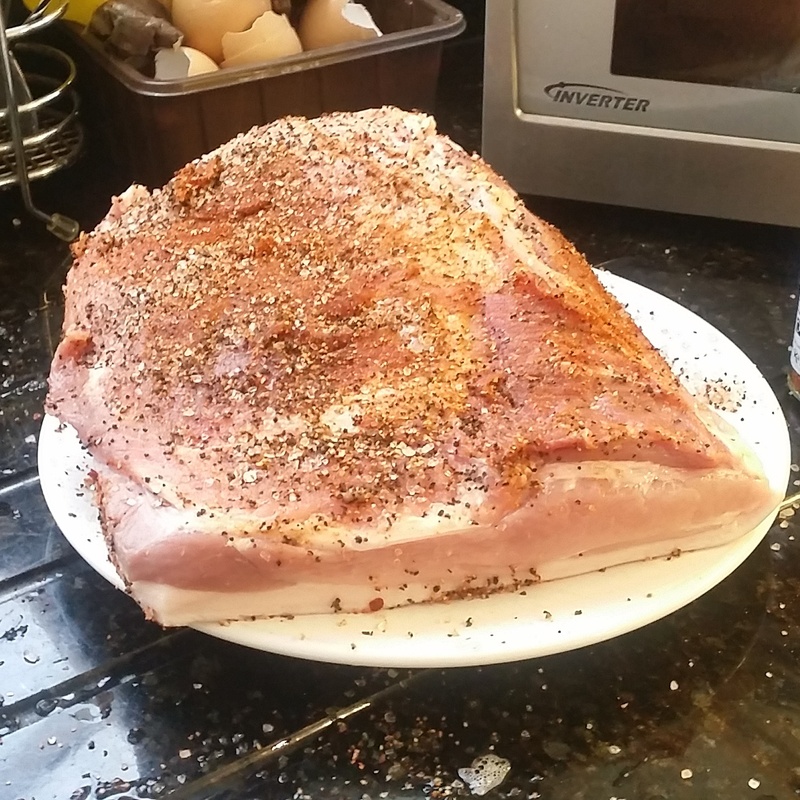 Rub the seasoning/salt/pepper onto the meat. 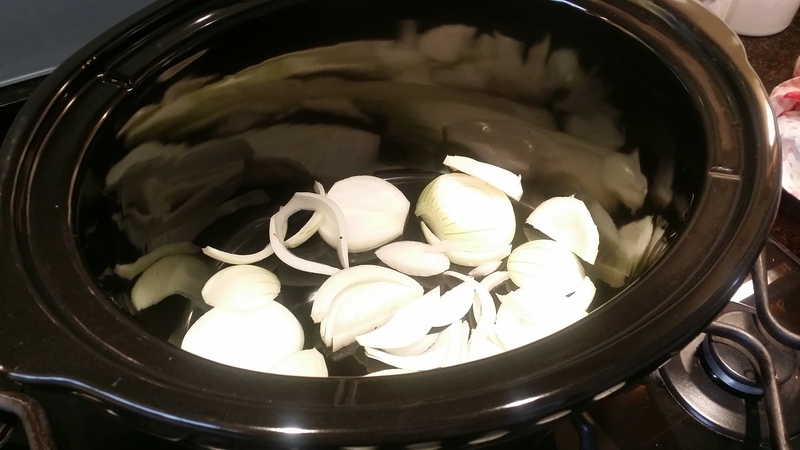 Slice one onion and put it in the bottom of the slow cooker. 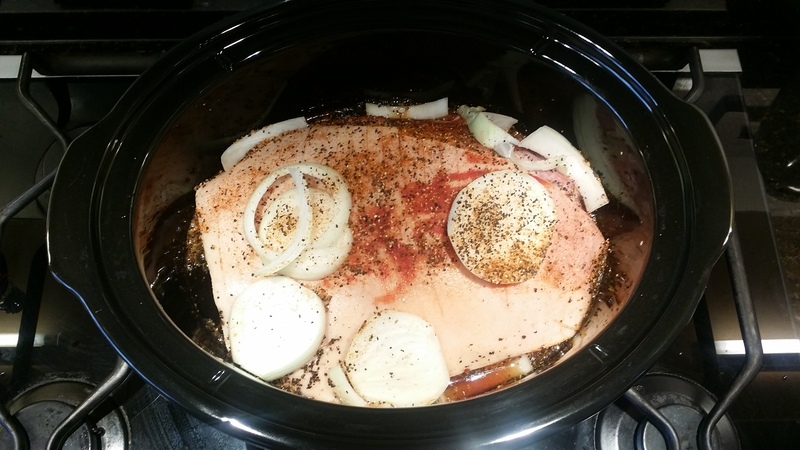 Put the meat into the slow cooker, fat side up. Slice the other onion and put it ontop of the meat. Take a swig of ale, then pour the rest into the bottom of the slow cooker (be careful not to wash the seasoning off the meat). Leave it alone, don't take the lid off or anything. After 8 hours, take the lid off and prod the meat with a fork to see if it comes apart easily (this means this cooking step is done.) If it doesnt, cook it for a bit longer. Lift the meat out of the cooker (I used a couple of spatulas), and place into a dish. Drain the liquid/onions from the cooker. Pull the meat apart with two forks/remove the bone. Contine to shred the meat. 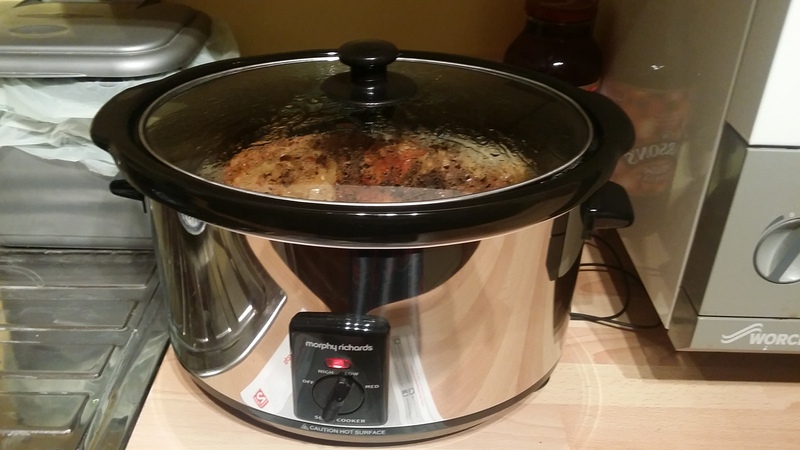 Put the meat back into the (now empty) slow cooker. Empty the bbq sauce on top then fill the bottle with water half way, shake and empty into cooker. Mix together and cook on low for 2 hours. Once cooked, put into a clean dish to serve.